Youth Wheel Thrown Bowl Workshop - Morning and Afternoon Time Slots! Looking for something creative to do with the kids? 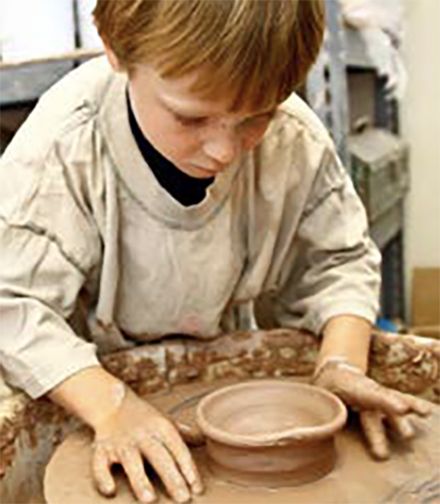 The Bascom's Dave Drake Studio Barn offers youth ceramic workshops every month! These workshops are offered in two time slots, 10am – Noon and 3:15 – 5pm, to best fit your family scheduling needs. This class will focus on wheel throwing skills and then incorporating slip as a decorative element. All pieces will be glazed and ready for pick up one week after the class is finished.